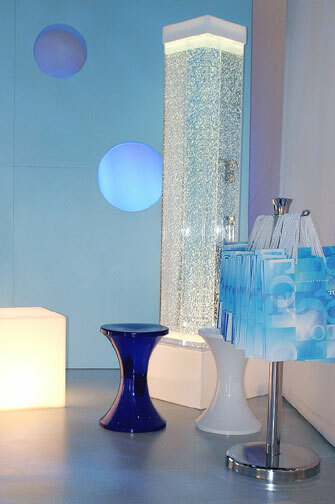 This tall square column of bubbling water adds a crisp and refreshing touch to any room. 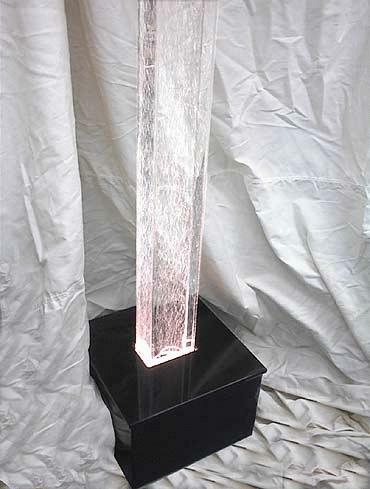 Hand-made from optical quality acrylic, this water bubble fountain is a work of art that is sure to please. You would be surprised at how easy it is to sit down in a comfortable chair, watch the bubbles floating peacefully up, and soon loose track of time and churn your imagination! Photos of this fountain fail to show it's grand appearance. Sizes listed below are 4"x6"x48", 12"x12"x48", 4"x6"x80", 12"x12"x80". Water may be dyed any color you choose, or equipped with optional color wheel.